Delicate pops of sunshine sparkle will shine in your elegant updo with these 1950s retro hair pins featuring lemon and yellow crystals. 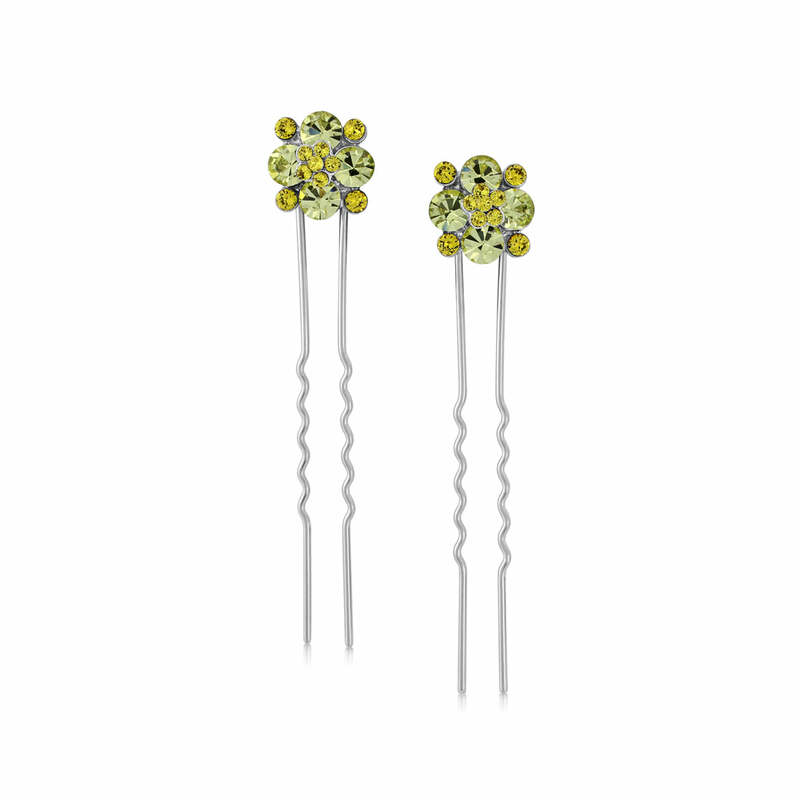 Sprinkle your tresses with little drops of sunshine with our appropriately named Delicate Sunshine Hair Pins. Featuring a petite flower adornment encrusted with fresh lemon and yellow crystals, this pretty pair beautifully dress a chic up-do with femininity and radiance. From a French pleat or chignon to a simple ponytail, enhance the golden hues and warmth in your hair. With more than a hint of retro style, channel your inner Rockabilly pin-up and accentuate their 50s charm with a Rock ’n’ Roll ready full skirt and bobby socks, or complement a floral print vintage tea dress for an antique-chic look. If glorious yellow tones are part of your wedding theme, Delicate Sunshine Hair Pins are must-have hair accessories for your bridesmaids to really make your colour scheme pop. Team with our coordinating jewellery range for a stunning special day style.